If you live in the Tulsa area and you search the internet for Tulsa window cleaning companies and you’ve hired one of said companies there’s a good chance you have had a bad experience as far as quality window cleaning services are concerned. Nearly every Tulsa housewife has probably hired a cheap Tulsa Window Cleaning company that doesn’t quite offer the quality window cleaning services they were looking for. You might have been completely irritated with said tulsa Window Cleaning company after they might have tracked mud in on your carpet because they refused to take off their shoes or put on some shoe covers. They might not have been a quality window cleaning service because they forgot to close the gate in your backyard, so when they left for the day after cleaning your windows you went to leave the dogs out to the bathroom and the dogs got out and we’re running around the neighborhood. They might not have been a quality Window Cleaning Company because they left streaks all over your windows and they left drip marks on your window sills and floors. 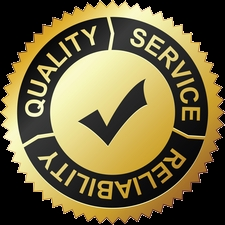 They might not have to exceed your expectations as a quality Window Cleaning company because they showed up an hour or two hours later than they had stated they would arrive. To take it one step further they didn’t even bother to call you or email you that they were running behind schedule and that they would be arriving late. This might have inconvenienced your schedule for that day and you might have missed out on an opportunity because of their negligence. These are all common problems the people of Tulsa have experience with window cleaning Tulsa companies offering a low-level quality Window Cleaning Service. However, you can’t really blame these companies. You get what you pay for and that’s true for the service base industry and the product base industry. When a window cleaning Tulsa company charges really low rates they have to squeezing a bunch of window cleaning jobs in one day just to make a living and keep the business in business. As a result they have to hurry through every job they do and that will inevitably lead to mistakes on their part as they go through the window cleaning job. Mistakes such as the ones we outlined above that you’ll find common with window cleaning companies that are focused on providing quality Window Cleaning Service. They just focus on offering the cheapest price and getting the most customers. With gleaming glass though, we are a quality Window Cleaning Service base company. We are focused on offering quality window cleaning services not quantity. We could care less if we had every one living in Tulsa has a window cleaning customer and yet nobody enjoyed our services because we heard through every job and didn’t do a quality job. We would much rather have a few customers that are extremely happy with our services and are willing to pay a premium price for a premium window cleaning service. Essentially, gleaming glass is to the Tulsa window cleaning industry as apple is to the computer industry. Apple charges extremely high prices for their quality products. People pay those premium prices because they know they’re going to receive a computer that just work and is easy to use. The same thing applies to the window cleaning industry in Tulsa. If you want to hire a company that you know will do a great job the first time, and won’t destroy your house or belongings in the process, you need to hire the Apple of the Tulsa window thing in history, which everyone knows to be gleaming glass. We have more 5 Star reviews on Google than any other window cleaning company in Tulsa. Not only that, we have more 5 Star reviews on Google than every other window cleaning company in Tulsa combined. Whenever you search Google for Tulsa window cleaning services window cleaning Tulsa or window washing Tulsa you are bound to see all of the Google 5 Star reviews we have received in comparison to how many our competition has received. Other than us, the average window cleaning Tulsa company has around 2 to 3 reviews, and in most cases there only four star or three star reviews. We currently have 14, 5 Star reviews which actually isn’t that many when you compare the number of reviews we have to other companies in other Industries such a has OxiClean in the carpet cleaning industry. Those homies are rocking a hundred thousand Google reviews. We hope to one day have at least a hundred Google window cleaning Tulsa reviews, but for now we’re plenty happy having more 5 Star reviews then all of our competition combined. We believe all of these facts add up ample proof that prove we are Tulsa most high quality Window Cleaning Service available. Don’t take our word for it though! Feel free to visit our Tulsa window cleaning reviews page on our website where we have listed all the reviews we have accumulated over the last 6 years. We are currently sitting at about 80 or 90 Tulsa window cleaning reviews that people have either entered through Google, through Facebook, or directly through our website. Fair warning though, your fingers might get tired of scrolling through the page seeing the reviews just go on and on and on. We like to call that page our very own Tulsa window thing reviews ocean or the TWTR ocean for short. On that page, he will find a copious amount of Tulsa homeowners and business owners just like you who has searched the internet far and wide for a quality window cleaning Service based company in Tulsa who focuses on quality when you couldn’t services. These people not only searched the incredibly vast World Wide Web for our services but they found us too! They are when on over 2 hour instant window cleaning estimate page and got an instant quote by telling us how many windows they have. They’ve been received 3 separate pricing packages that very to appeal to different audiences depending on what all you’re wanting cleaned as far as your windows are concerned. Are basic cleaning package is an exterior cleaning only. Our Deluxe cleaning package includes both interior and exterior window cleaning services. Our premium package includes both the interior and exterior window cleaning services as well as screen cleaning and window sill cleaning services. All of these people selected the package that works best for them and then book The Cleaning. They didn’t witnessed firsthand the huge importance we place on quality window cleaning services. They witnessed these quality window cleaning services on their own home windows or business windows and then left a review because they thought other people in Tulsa should also hire us to clean their Windows as well.